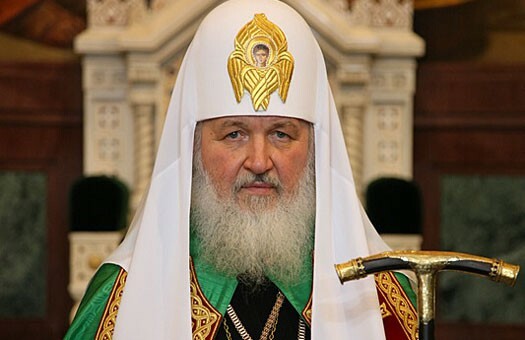 Kiev, July 15, Interfax - The Ukrainian Orthodox Church of the Moscow Patriarchate has reiterated that Patriarch Kirill is not planned to take part in celebrations in Ukraine of this year's anniversary of the Christianization of Russia. “No visits of His Holiness Patriarch Kirill of Moscow and All Russia to Kiev or any other diocese of the Ukrainian Orthodox Church, including Crimea, are planned for the period of celebration of the Day of Baptism of Kievan Russia and for the dates of the assembly of bishops,” the Church said in a statement. Citing the Moscow Patriarchate, the statement said that Patriarch Kirill would lead a worship service at Moscow’s Cathedral of Christ the Savior on the anniversary day, July 28. “Solely ruling and vicar bishops of the Ukrainian Orthodox Church will participate in the assembly of bishops on August 13,” the Church said. The assembly is to elect the new primate of the Ukrainian Church – the metropolitan of Kiev and All Ukraine. “There are no plans to invite representatives of the Moscow Patriarchate or any other local Orthodox Church to the assembly of bishops,” the statement said. Until now Patriarch Kirill has yearly taken part in Christianization anniversary festivities in Kiev. In reacting to rumors, the director of Religious and Ethnic Affairs Department of the Ukrainian Culture Ministry, Vladimir Yushkevich, said last month that Ukraine would take every legal measures to prevent a patriarchal visit because the latter “would achieve nothing else than a wave of confrontation between religious communities.